Your baby’s bedroom and crib should be extra safe. 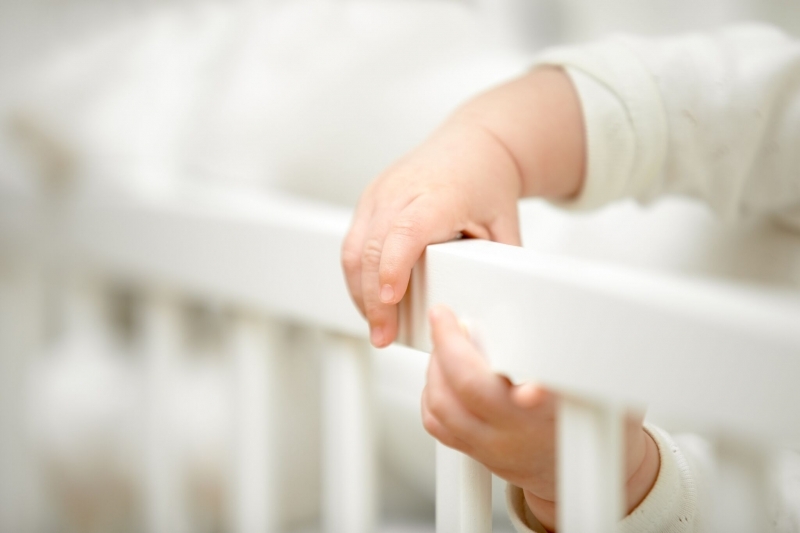 Choosing a crib that complies with appropriate safety standards will help keep your baby safe. Slats and rails should conform to standards for spacing and height, and mattresses should be very firm and fit snugly, leaving no space between the mattress and the walls of the crib. Toys, stuffed animals, blankets or other covers, and pillows should stay out of the crib. Minimal clutter will help ensure the baby’s safety.